Illustrator, graphic artist and teacher, working with children and young people on a daily basis. Graduate of the Faculty of Graphics at the European Academy of Arts in Warsaw. 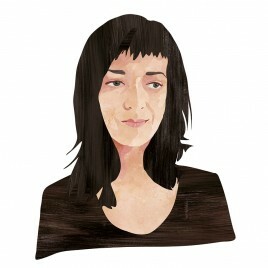 She is engaged in graphic design, drawing and teaching. The usual topics of Justyna Styszyńska’s books are nature and man. She has authored the series Zwykli-niezwykli mieszkańcy: Las, Łąka, Bieguny, as well as creative notebooks from the Idol series about Marie Curie and Frida Kahlo. Justyna Styszyńska’s illustration technique combines traditional painting with computer drawing. There are no lines and no sketch. There are colour patches with different textures and hues.